TWC Construction, Inc. is projected to end 2015 having completed several of its largest projects since the company was founded nearly 20 years ago, bringing its business volume back to numbers not seen since before The Great Recession. The company cites the 2016 outlook is very strong as well due to high demand for new jumbo warehouses. TWC Construction Announces Completion of Las Vegas City Center #19 - Largest Speculative Project Built in Nearly a Decade. TWC Construction, Inc. announces completion of Prologis Las Vegas City Center #19's shell building and surrounding site improvements. The 464,200 square foot building, which sits on 27 acres of land in North Las Vegas, broke ground in September 2014, is the largest speculative project of its type built in nearly a decade. 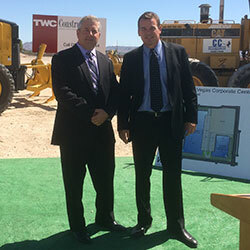 TWC Construction have begun construction on the Prologis Las Vegas Corporate Center #19 building which is the first of its kind constructed in nearly a decade and one of the largest ever built in the region. Workers from Frazier Masonry Corp. tilt up the first wall on a major industrial space development on Thursday, Dec. 18, 2014, near Pecos and Gowan roads in North Las Vegas. National industrial developer Prologis is behind the project. Global Industrial Distribution signed a lease for 464,203 square feet. TWC Construction is employing over 300 workers on the site. 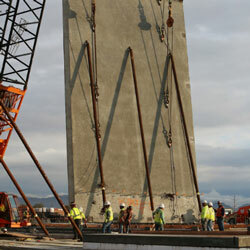 The lifting of the Concrete “tilt-up” wall panels for Prologis LasVegas Corporate Center #19 will begin this week. The massive 26 x 50 ft high panels, some weighing more than 89 tons each will be lifted by a huge crawler crane to form the outer walls for the new 464,203 square foot building. A special viewing area at the TWC Construction trailer is available for media. TWC Construction builds unique "fishbowl" television broadcast studio for ProCaps Labs' live HSN segments. 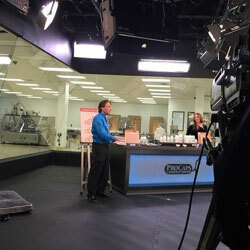 That marked the first time ProCaps has shown its vitamin segments on HSN while the factory remained in operation. The reason is a 1,400 sf glass fish bowl broadcast studio, allowing live broadcasts in a state-of-the-art studio while production goes on behind them. 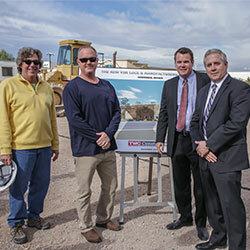 ProCaps subsidiary, TWC Construction, one of the larger commercial contractors in Southern Nevada, teamed with engineers and staff at HSN, then built the first such studio within a factory in the country, said Matthew Ryba, CEO of TWC Construction. How does TV’s leading brand of vitamins broadcast live Home Shopping Network (HSN) shows from their manufacturing facility without disrupting operations? The company turned to TWC, Inc., a Henderson based commercial construction firm, to design and build a fully operational “fishbowl” studio within the highly-regulated hygienic factory itself. The live-broadcast studio, which is the first of its kind installed in a manufacturing space, is located at the ProCaps Labs headquarters in Henderson, Nevada. Las Vegas Review Journal, 2D Business Section. Photo of Colton Vollmann of VSR Industries on new building site with TWC Construction rendering. Henderson, NV (KTNV) -- A Henderson company is helping fuel the local economy. A groundbreaking ceremony was held on Wednesday, commemorating the third VSR Industries campus. November 19, 2014 Las Vegas Review Journal, 2D "In Brief Section" Business - "Groundbreaking Set for Today." "VSR Industries to expand with 28,000 square foot factory." VSR Industries (VSR), manufacturers of specialized, high security gaming locks will break ground on a new 28,000 square foot lock production factory today. The company has named Henderson-based TWC Construction Inc. (TWC) as general contractor for this significant new project. This is the third building the companies have partnered on in the Southern Nevada region and brings the VSR campus to 150,000 square feet. A local manufacturer of gaming-industry locks will break ground Wednesday on a plant expansion. VSR Industries is adding 28,000 square feet of lock-production space to its existing factory at 1743 Whitney Mesa Drive. It will be the third building on the company’s Henderson campus, and it will bring VSR’s total plant space to 150,000 square feet. Colt Vollmann, VSR’s chief operating officer and chief financial officer, said the addition will make space for the expansion of the company’s “rapidly growing” slot-cabinet manufacturing division. The contractor on the project is TWC Construction. 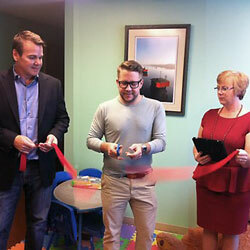 ABC 13 Action News Broadcast coverage about The Shade Tree's Serenity Room, which TWC Construction assisted in building. TWC’s Mark Wilmer and Amy Brisssette featured. 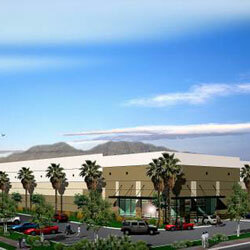 TWC Construction breaks ground on Prologis Corporate Center #19 in North Las Vegas. This project will be the first of its kind constructed in nearly a decade and one of the largest ever built in the region. A Southern Nevada developer plans to build a warehouse that it says will be the area's largest speculative industrial project in years. 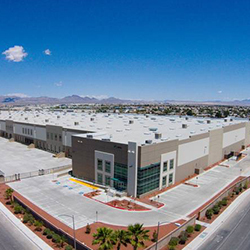 Warehouse developer Prologis plans to build a 464,203-square-foot facility in North Las Vegas without any tenants lined up. Above, a rendering of the project. Prologis Las Vegas Corporate Center #19 construction commencement will be commemorated with an official Hard Hat Ground Breaking Ceremony and Celebration. Construction of this LEED certified, free standing concrete tilt-up development, measuring 464,203 square feet on 20.5 acres, has been awarded to Henderson, NV - based TWC Construction, Inc. This project will be the first of its kind constructed in nearly a decade and one of the largest ever built in the region. Big new building a sign of hope for Vegas market. 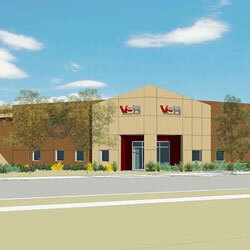 On November 19, 2014, VSR Industries, manufacturers of specialized, high security gaming locks will broke ground on a new 28,000 square foot lock production factory in Henderson, NV. TWC Construction hosted the hard hat ground breaking celebration attended by local officials, business partners and media. This is the third building the companies have partnered on in the Southern Nevada region and brings the VSR campus to 150,000 square feet. Located at 1743 Whitney Mesa Drive, Henderson, Nevada. A press conference and official ground breaking ceremony took place on September 11, 2014 on the site of what was to become the largest commercial development of its kind in nearly a decade. Prologis Las Vegas Corporate Center #19 construction commencement was commemorated with an official hard hat ground breaking ceremony and celebration. Distinguished guests of honor included, John J. Lee – Mayor of North Las Vegas, senior executives from Prologis and TWC Construction. The 29,784 SF tenant improvement for Lake Industries held it official Ribbon Cutting on January 19, 2012. 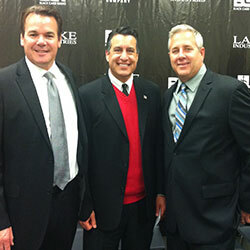 In attendance was Nevada Governor Brian Sandovall, pictured alongside Mark Wilmer and Matt Ryba. September 25, 2007 on the Queen Mary in Long Beach, CA, Ted Turner made the announcement of Turner Renewable Energy entering the solar industry; with their first solar contract being performed for TWC Construction, who was building the largest Solar Covered Parking Array (698kW) in Nevada for ProCaps Laboratories. 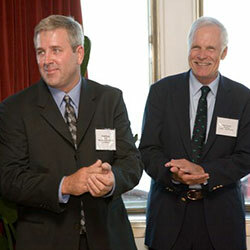 Pictured are Matt Ryba and Ted Turner.